I am currently a senior researcher in Visual Computing Group at Microsoft Research Asia (MSRA). Before I joined MSRA in 2014, I received the B.S. degree and the Ph.D. degree from Tsinghua University with honor in 2009 and 2014 respectively. I was also a visiting student to University of California, Los Angeles (UCLA) from 2012 to 2013. My current research focus is on deep learning for high-level vision, especially for semantic segmentation and object detection. 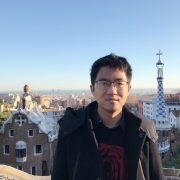 If you are interested in internship, joint Ph.D. program or research positions related to computer vision or deep learning, please send me an email (jifdai@microsoft.com).